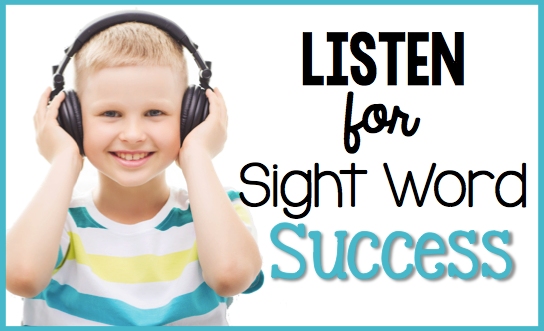 Listen for Sight Word Success! Did you know that sight words make up about 50% of what we read? When children are able to read sight words fluently they are able to focus on comprehending the text instead of attempting to sound out each word they encounter. We know how important sight word mastery is to reading development but how can we ensure sight word success when we have tons of other standards to teach? 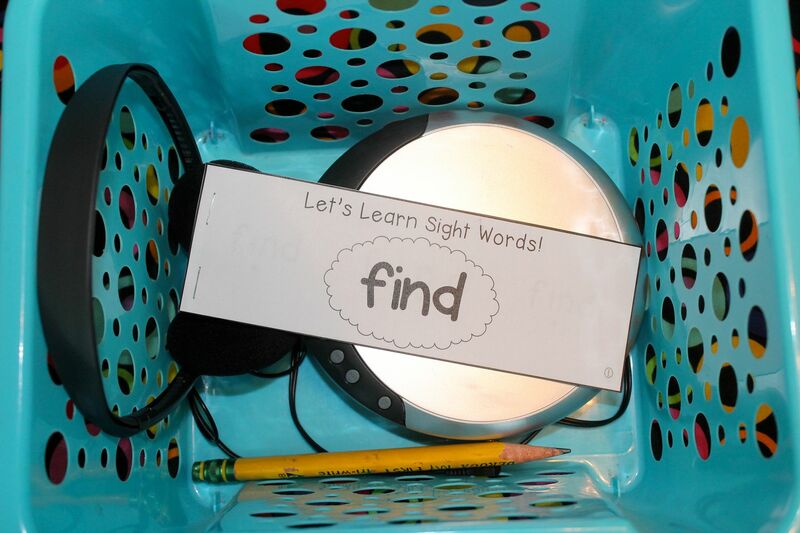 I want to share the classroom-tested and student-approved way I teach sight words that has consistently resulted in my students learning 100 sight words on average year after year. I divide up my list of sight words into different color groups. The first group is red so it will contain the most frequently used words like: the, and, a, to, etc. 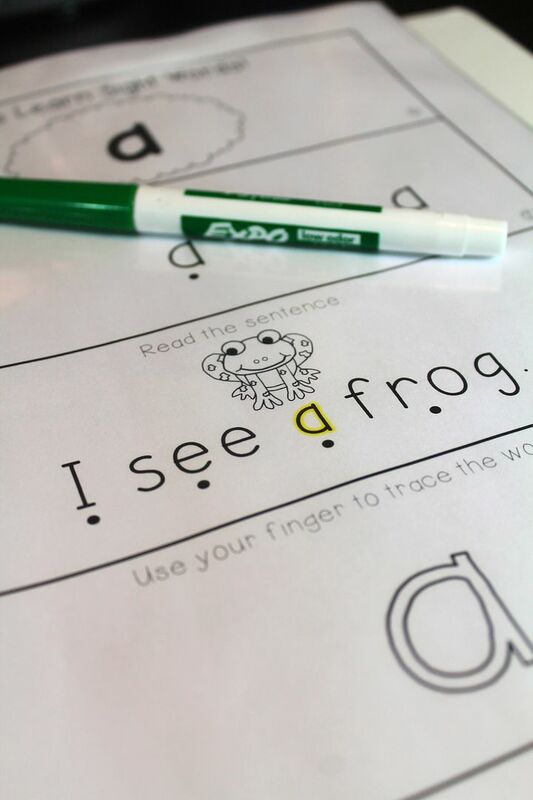 You may look at the scope and sequence of your reading curriculum and make your sight word color groups based off when the curriculum introduces the sight words. Breaking the sight words up into smaller groups makes it is easy to manage! I always know which color list of my words my students are working on, since they all master sight words at different rates. 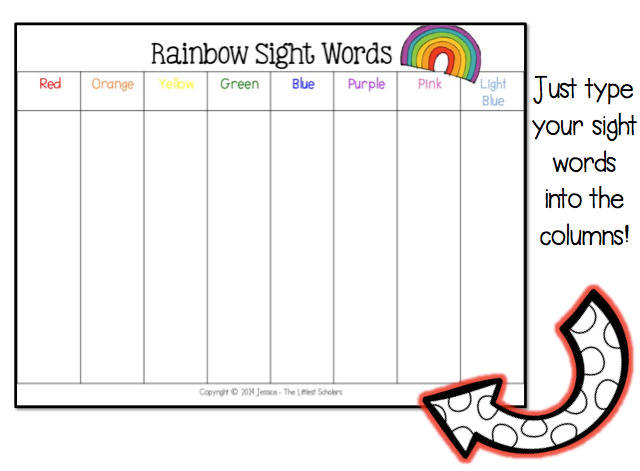 You can use the printable below-- just type in your sight words! I also made sight word flash cards for my students to use and take home. I printed, laminated, and hole-punched them and kept them on binder rings. Click the picture to grab the flash card template! I needed a visual tracker for me and my students. 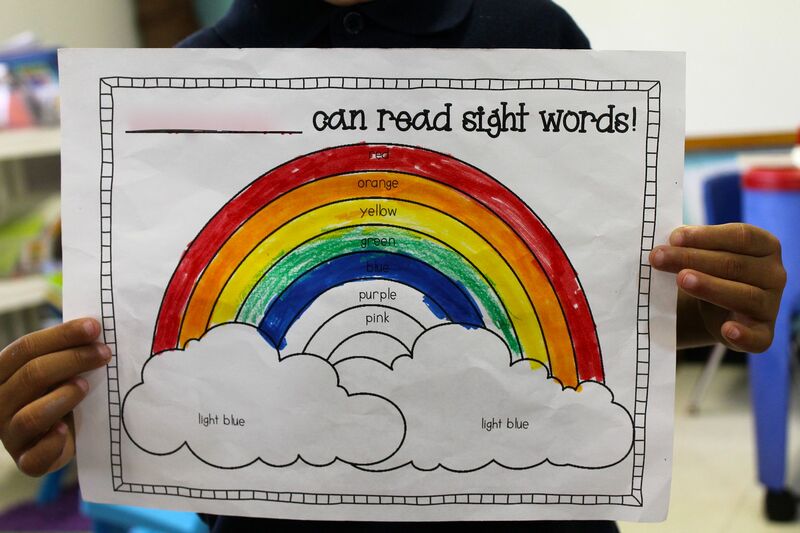 This way I know at a glance how each student is progressing and they get the satisfaction and confidence boost of coloring in another part of the rainbow as they master more sight words. Tracking sight word mastery makes a tremendous impact on my students' motivation and they become incredibly invested in learning more sight words! The tracker also makes a great visual to share with parents and families. Just click the picture below to download the tracker! 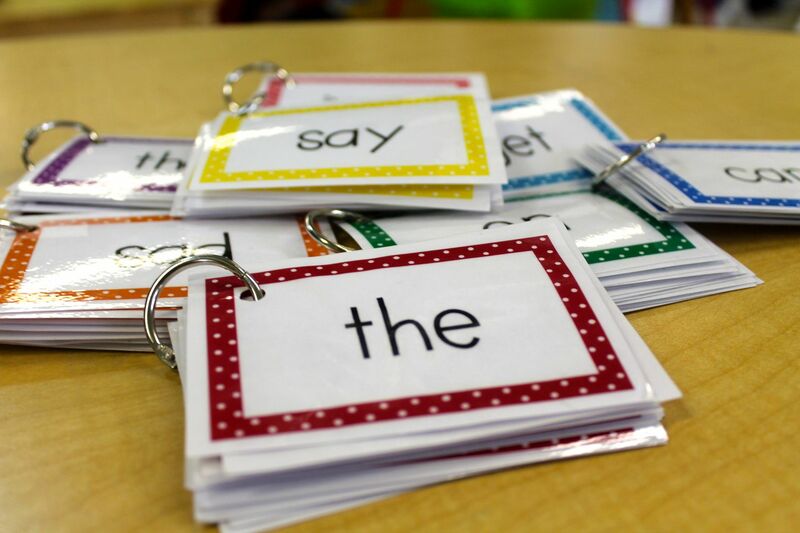 Flash cards and rote memorization just don't cut it when it comes to sight word mastery! Students need multiple opportunities to read and write a new sight word because a child is more likely to commit a sight word to memory when he writes and says the word at least 5 times. Teaching sight words in isolation is not nearly as effective as teaching them in context, so teaching the word in the context of a sentence is a must! I always feel like I never have enough time to work with small groups or individual students to build sight word mastery--I just wanted to clone myself so they could get the teacher directed support necessary in order to develop this necessary reading skill! During center time, I tried every worksheet and printable under the sun but none increased student mastery--students either knew the word already or still were confused after completing the worksheet. Why? Because no one was there teach or correct them! It was just a whole lot of going through the motions. Since cloning myself was clearly not an option, I opted for the next best thing--a recording of me! 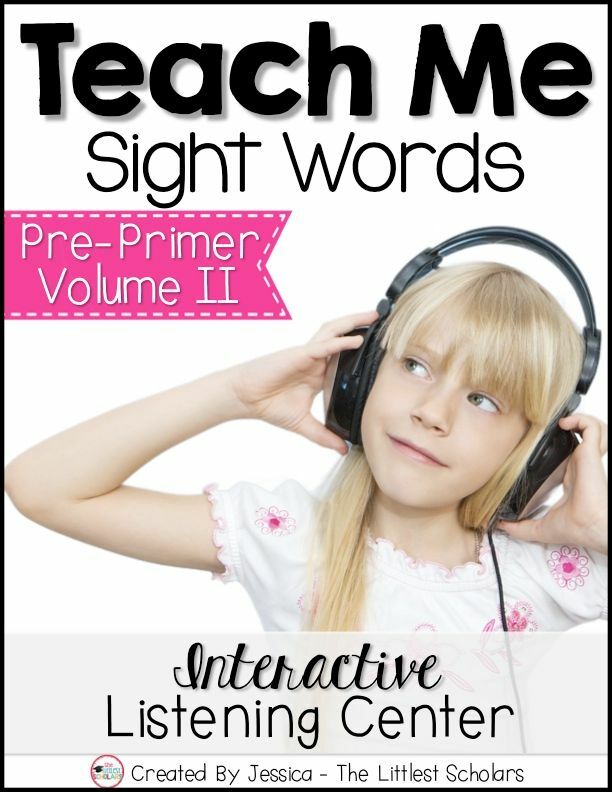 I created Teach Me Sight Words--a printable booklet and audio file for each sight word. The audio file guides the student through spelling the word, reading the word in context, writing the word, and the student hears the word spelled or read over 26 times! The printable provides accountability and can be taken home for additional practice. 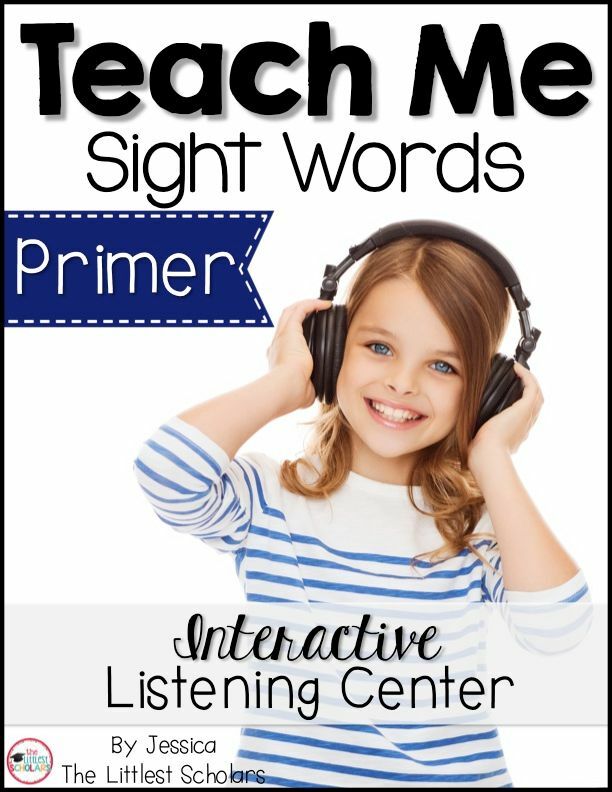 Instead of simply going through the motions of a cut and paste worksheet, the audio file and printable provides the necessary support and scaffolding for true sight word learning that leads to mastery! While there are lots of sight word apps and computer games, I haven't found any that actually teach the sight words and are easy to differentiate. I use a CD player for my sight word listening center, so I have a different CD for each sight word color list. Because we use the rainbow tracker, my students know which sight words they need to work on and differentiation is as easy as that! 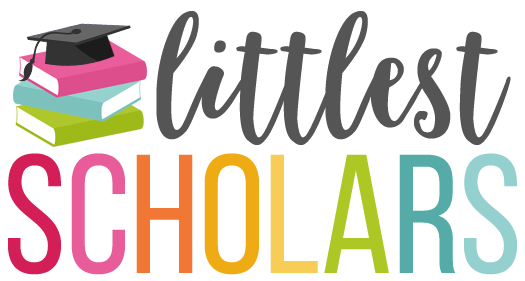 You can cut the printable books up, let students write on them with a pencil and take them home OR reuse them by slipping the pages in sheet protectors and letting students write on them with dry erase markers. The audio files can be uploaded to iTunes and put on an iPod or iPad or burned to a CD for use on an individual CD player or stereo in your classroom. All of my Teach Me Sight Word resources are in my TpT shop! 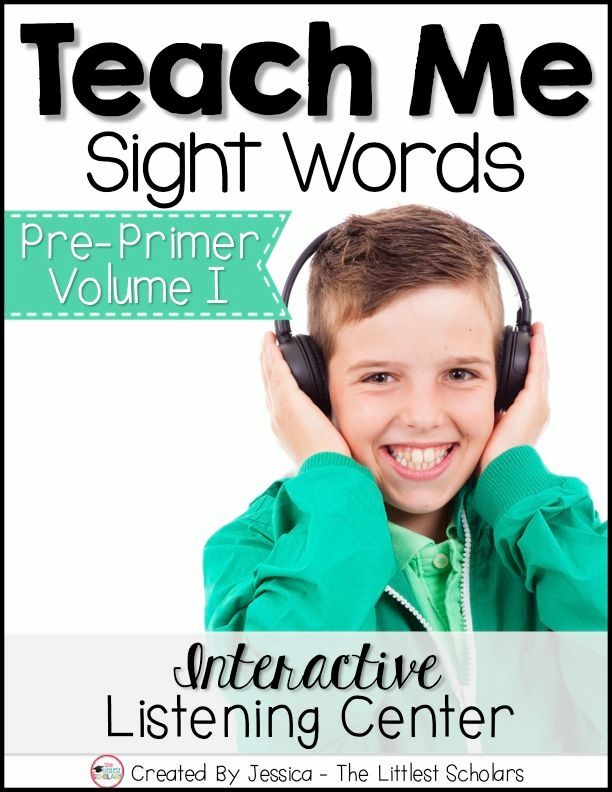 You can purchase sight words individually for $2--that's for the printable book AND the audio file. If you purchase a bundle, you get the sight word printable booklet and audio file for only $1.40 each! 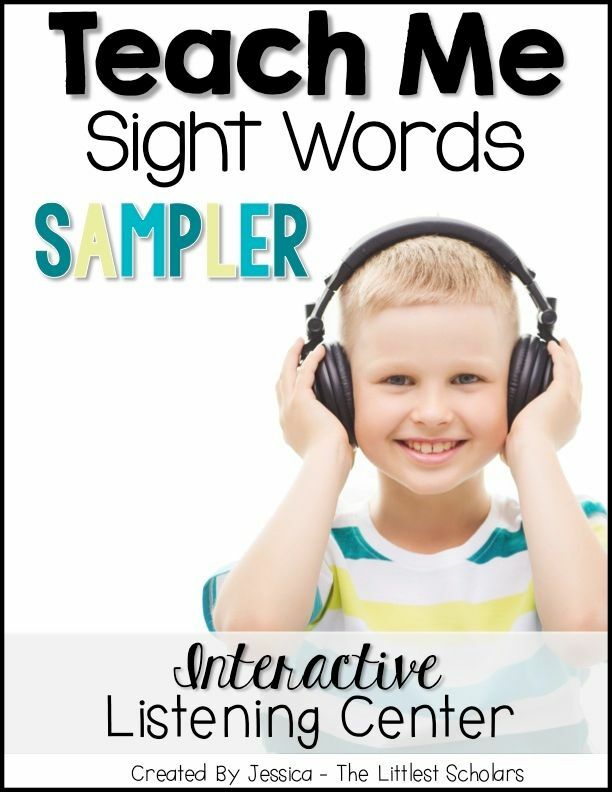 If you'd like to try it out first, download my Teach Me Sight Words Sampler and give it a whirl. 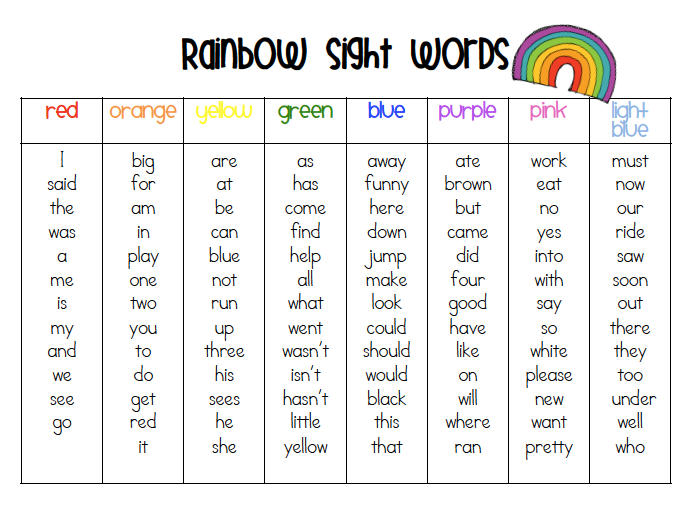 I explain my rainbow sight word program to my students' parents and families in the beginning of the year and give them each a laminated copy of the rainbow sight word list. On my class Facebook page, I post a picture of each student with their rainbow tracker after they have colored in another section so their parents can see their child's progress. My students love the recognition but their parents love it even more! Students are able to take home the flash card rings for practice but I also made online flash cards by creating a Facebook photo album for each color sight word list. I saved the flashcards as JPEGs and uploaded them just like you would a picture so while the child is riding in the car or at the grocery store he can scroll through the flash card "pictures" on Mom or Dad's smartphone. Parents are so busy and may not have the time or materials to make flashcards, so utilizing something they already have and something their child undoubtedly loves to use makes it a win-win! What a great post, Jessica! Thanks for such great tips and advice. 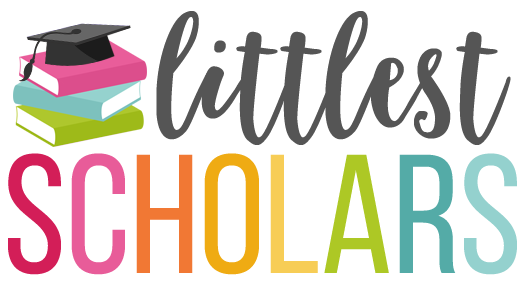 From one teacher to another....thank you, thank you, thank you! What a blessing you are!